Multi-instance is one of the most sought-after features of BlueStacks. 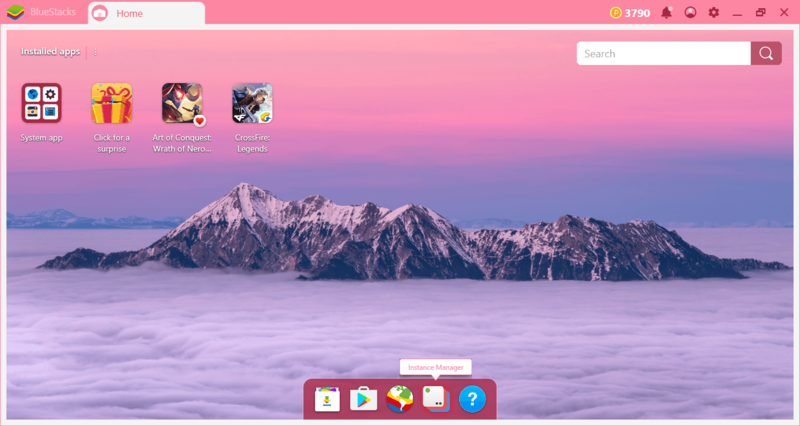 With this feature, you can create multiple BlueStacks accounts and use them to play a game from multiple accounts or play multiple games all at the same time. 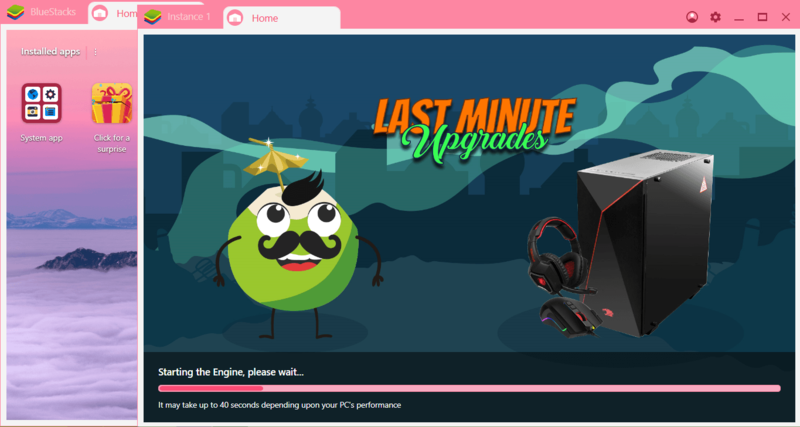 There are many advantages you can get by doing this – you can find detailed guides on this on the BlueStacks Blog. You can create your own guild / clan, see the different endings of a story-driven game, or send precious resources to yourself: The possibilities are endless. 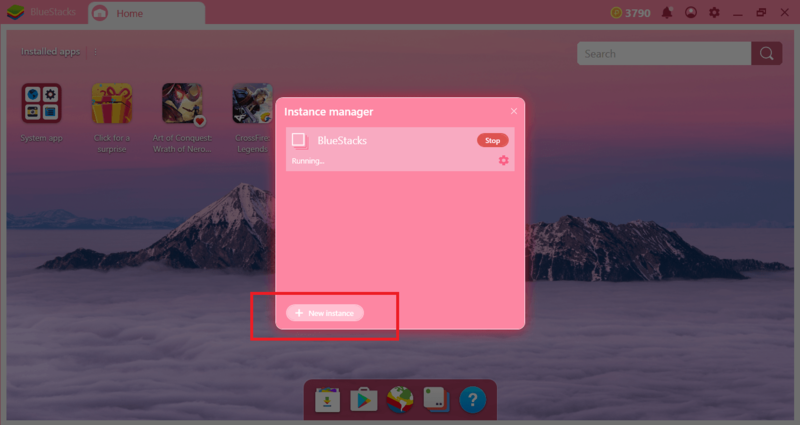 The all new multi-instance feature in BlueStacks 4 will give you all these advantages and more. Let’s take a closer look at how you can use this feature. To activate the multi-instance feature, start by pressing the “Instance Manager” button at the bottom of the screen. The pop-up window will show only one instance. This is normal: You are seeing your current instance at the moment and you need to create a new one. Simply click on the “new instance” button to start a new instance. In this regard, your only limit is the resources of your computer. By default, a new instance will require the same amount of RAM as your original instance. For example, we set this amount to 2 GB, so the new instance uses the same amount of RAM. You can clone your existing account for the new instance, or you can use a new account. We recommend you to start with a new account: By doing this, you can take advantage of the benefits mentioned above. Remember, however, that you will need a new Google account for each instance. Likewise, you will need to “install” a game again. As long as you have enough RAM and resources, you can keep creating new instances and switch between them. You can open the same game on more than one instance, trade between your own accounts, and interact with “yourself” in many other ways. Moreover, this is not a temporary situation: You can save an instance that you created, assign a shortcut to your desktop, and launch it quickly. 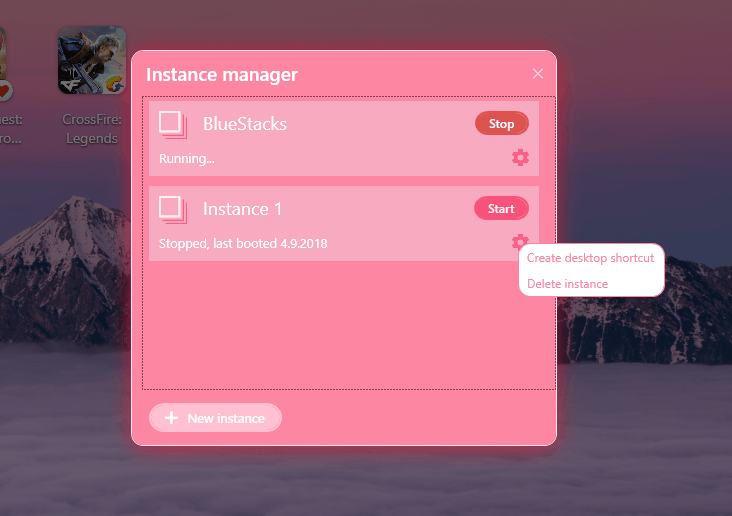 You can also use this method to delete an instance that you created. You may want to delete some of your accounts after a certain period of time. In any case, know that all of these processes will take place much faster thanks to our new code infrastructure. After creating multiple instances, it’s time to start using them. You can be confident that the multi-instance feature will benefit you in almost every game. If you want to see some examples, just take a look at a series of articles we’ve created about this topic. 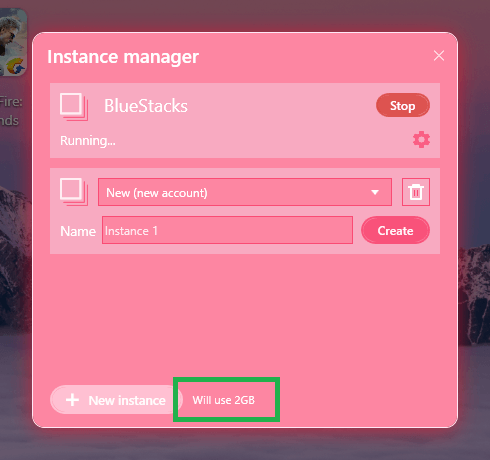 We are confident that you will love and continue to use the multi-instance feature in BlueStacks 4. Do not forget to share your experiences and your creative ways of using this feature with us!